Do you believe in miracles? Or in this case, do you believe in weight loss miracles? Well, I suppose that would depend on what type of weight loss it is - water weight loss, or actual fat loss. If quickly losing weight by flushing water and waste matter out of your body and then quickly gaining it back counts as weight loss, then I guess you can say it's a miracle. But there is a noted difference between that kind of weight loss and actual, sustained weight loss. The 48 hour Hollywood Miracle diet is a cleansing and detoxifying diet that's also marketed as a weight loss aid. It is meant to help you cleanse, detox, and rejuvenate your body, and achieve rapid weight loss by flushing out water, and waste matter from the body. The diet claims that it's a 2 day program that cleanses your body of the 5 to 10 pounds of waste matter in your colon and digestive system. However, it needs to be pointed out that this kind of rapid weight loss is not permanent. The diet itself mentions this fact in its FAQ: "This diet is based on fasting, and weight loss is not permanent by fasting alone"
The Hollywood diet markets several products. 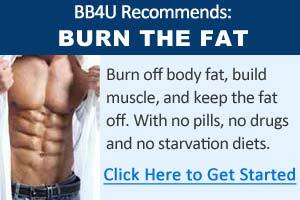 The 2 flagship products are the 24 hour and 48 hour Miracle Diet products. These are a blend of natural juices that works to help cleanse and detoxify the body. The weight loss expected from using this vary widely depending on the individual. In some cases, weight loss can go up to 10 pounds in the 2 days while on the Hollywood Miracle Diet. Most of this weight lost is from water flushed from the body, and waste matter from the colon and digestive system. You'd be foolish to think that it was mostly fat that was lost. There are several products promoted under the Hollywood Miracle Diet name. They have a 24 hour Hollywood diet, a 48 hour Hollywood Miracle diet, Hollywood Mega miracle (a multi-vitamin supplement), and a combo pack that includes all of these products. As the name suggests, the 24 hour product lasts just one day, while the 48 hour diet lasts 2 days. The 24 hour juice diet comes in 16oz bottles, and the 48 hour juice comes in 32oz bottles. As suggested by the product, you should mix 4oz of the juice with 4oz of water, and drink this once every 4 hours - for 4 times daily. While on the Hollywood Miracle Diet, you are not supposed to consume any other foods or beverages, and should drink 8 glasses of water each day. This may seem counter intuitive, but drinking more water throughout the day will actually help your body flush out more water, as the ample supply of water will reduce your body's need to retain water. Considering the fact that you're not supposed to consume any food or beverage during the 1 to 2 day cleanse, the Hollywood Miracle "Diet" should really be called the "Hollywood Miracle Cleanse" (or detox). It really isn't a "diet" by any means, unless you consider consuming no food or beverage a diet. However, used as a body cleanse and detox, the Hollywood Diet can provide your body with some health benefits. If you're considering taking the Hollywood Miracle Diet for lasting weight loss, then you need to look elsewhere. The 2 day fasting diet will help you lose weight, and help you lose it quickly, but we've already established that most of this fast weight loss is simply water and waste matter. You will gain it all back as soon as you've finished your 2 day fast. In some cases, this may actually be detrimental to your weight loss efforts, as 2 days without food could slow your metabolic rate, so that your normal diet after the fasting becomes even more fattening after the fasting. If you think about it, there's a good reason why most weight loss experts who are worth their salt recommend consuming 5 to 6 small meals spread throughout the day - because this helps increase your metabolic rate! Not consuming any food will only do the opposite. Makes sense right? The one thing Hollywood Miracle Diet has going for it, is the speedy, quick weight loss. If you need to quickly lose a little weight for a special event, this just might be the solution. However, do not mistake this for healthy, sustained, and long term weight loss, because you will gain back what you lost as quickly as you lost it. Whether fasting is healthy is open to debate. Some experts argue that during fasting, the good bacteria in your intestines are also affected along with the other bacteria. Other experts argue that fasting helps the body remove unhealthy waste products and toxins from the intestines. However, this topic is beyond the scope of this article. In essence, the 48 hour Hollywood Miracle diet is really a 2 day juice fast. 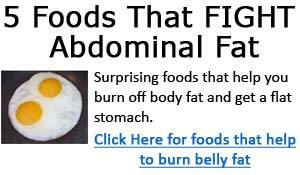 It should not be considered as an effective fat loss aid. It may help you lose some weight quickly during the 2 days of fasting; however, the weight lost will simply be gained back after the fasting is finished, and in the process, you may actually slow down your metabolic rate leading to some weight gain in the end.